*RSVP Required - But only reserve tickets if you are 100% that you will arrive by 6:30pm. IMPORTANT – Only book if you are 100% (not 99%) – You must check in no later than 6:30pm for guaranteed seating. If you show up late (even 6:31p), you risk your seats being given away to someone else. If you are a no show you will be banned from all future screenings. You may only book two tickets. If you book more than two tickets all of your tickets will be cancelled and you will not be admitted. The Aftermath is set in postwar Germany in 1946. 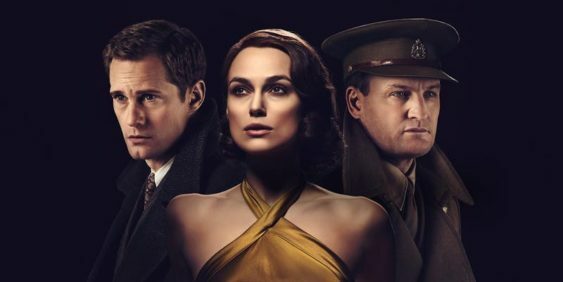 Rachael Morgan (Keira Knightley) arrives in the ruins of Hamburg in the bitter winter, to be reunited with her husband Lewis (Jason Clarke), a British colonel charged with rebuilding the shattered city where they meet a German widower (Alexander Skarsgård) and his troubled daughter.